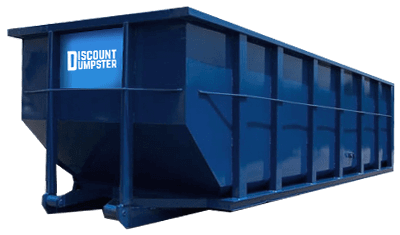 Discount Dumpster is in the business of saving you time and money on renting roll offs in Nashville. Our dumpster service provides you with an experienced customer service team, low flat rates, and an efficient rental process. Our dumpster service is here to help you keep your project going on schedule and within your budget. We are here to make sure your project goes seamlessly. Call us today and see how we can help you save. Call us today to see how easy renting a roll off can be for you! Our customer service team will walk you through the process of finding the right container for your needs. Our dumpster service will deliver all the roll offs you need to any home, business or construction site of your choosing. So don’t put off that project any longer. Call us today to begin saving up to $100 on your next rental. The 12 yard is common for small-scale tidying of the basement and garage. Its modest size allows for the container to fit virtually anywhere. 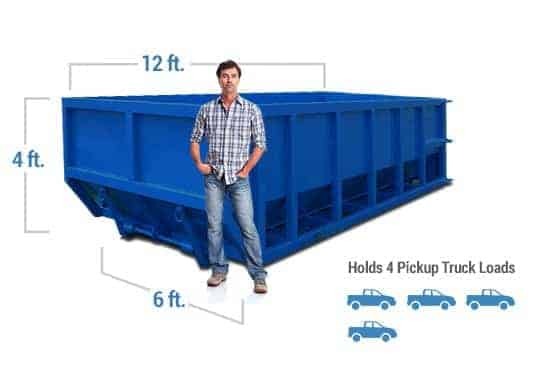 The 12 yard allows you to dispose of limited amounts of construction and household debris. The 20 yard roll off is typical for full room renovation and remodeling. You can easily dispose of household and demolition clutter. The 20 yard is best suited for small scale landscaping projects. The 30 yard is great for multiple room demolitions. Its relatively large size allows the bin to hold construction clutter such as metal and brick. With 30 cubic yards of room, it is a great choice for large-scale building retrofitting. With our dumpster service, you will never get an automated recording during business hours. When you call, you can expect to talk to a real person offering experienced and detailed advice for cleaning up your site. We have all standard sizes of dumpsters to choose from. If you are unsure which container will best suit your needs, call us and we will recommend an option for you. Call us Monday through Friday and we will arrange the delivery schedule for you. At Discount Dumpster, our dumpster rental service provides low flat rates for our customers. Call our customer service team today. We can provide you with a free estimate on any of our dumpsters, give advice on which size to choose and set up your rental immediately. We are here to help the process go smoothly, so you can call us with any questions or to set up a different delivery schedule. Get in contact with us today or request a quote online. The goal of our dumpster service is to provide the community of Lebanon with the lowest pricing in the business. What does this mean for you? This means that we can make it much easier to keep your cleanup project within budget. Our rates include everything associated with your rental – delivery, pickup, rental duration, and all applicable taxes. This eliminates any concerns about renting a dumpster because everything is clear and straightforward in print. Call us today. We simply want to save you money on your rental.